Where can you find large hopping rats, tree bears that eat poisonous leaves and sleep all day, birds straight out of the Jurassic period, and the worlds last living dinosaurs (not to mention a collection of the most deadly snakes and spiders)? 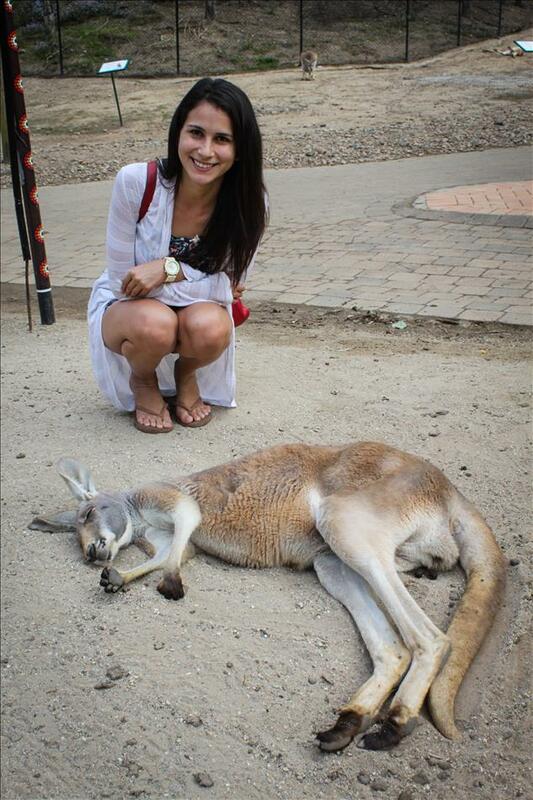 The very last thing that had to be done before I left Australia was of course to see the wildlife. Australia, being a huge island evolved animals in isolation from influence of other countries, leading to a very unique bunch of strange creatures. The most beloved being the koala bear. 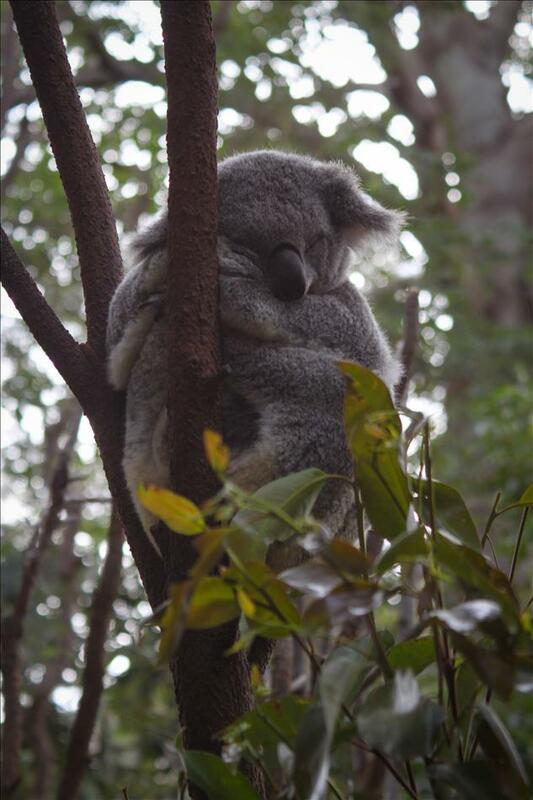 Arguably the drowsiest, most cuddle worthy creature on the face of the planet, koalas have been doing literally nothing and winning the affection of the vast majority of the world since its first published image in 1810. 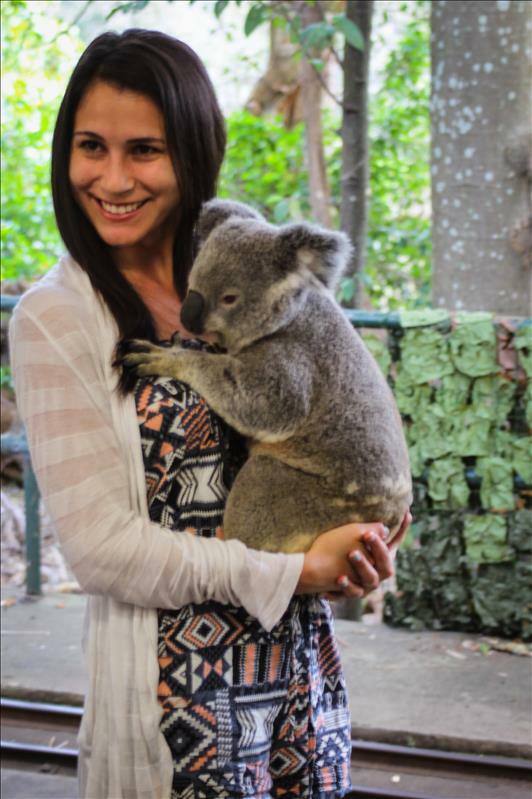 At Carrumbin Wildlife Sanctuary it’s possible to hold a koala in your arms and make your koala cuddling fantasy a reality. I had been dreaming of this moment for far too long. I all but snatched Adam the Koala from his handler and held him with overwhelming affection more closely tied to newborn human babies for most normal people. It was then that my dreams were so to say crushed a little for the koala smells like a huge hamster, and has fur that reminds me of wool and felt mixed together to produce a half inch thicket of a baby afro disguised to look like the most cuddle worthy fur in the world. (Sorry Adam, what we had for those few minutes was still really special, and I’ll never forget you). It was still a really awesome experience and the best donation I ever made. Most of the animals in the park are somewhat free- range. This ridiculously photogenic iguana had a pond habitat, but no wire or glass holding him in. The habitats are made so perfectly that the animals genuinely like their homes. Of course no trip to Australia would be complete without seeing the kangaroo. Kangaroos are second in outback cuteness competition only to the koala. I feel that they know that they’re second best and therefore, make an effort to smell better and be considerably softer than their nemesis the beloved tree bear. Although their pouches are still an ew factor (especially when the legs are sticking out making the mom look like some six legged mutant), the babies that were out on the roam were so adorable that I spent most of my time stalking them. The large males looked like they had hit the pubs a little too hard the night before and were big slabs of Australian muscle passed out on the ground. The one next to me looks like he fell asleep mid-frat chugging contest. The emus are on the roam in the same enclosure as the kangaroos. Emus and cassowaries are all the evidence that I need to support Dr. Grant’s theory that dinosaurs evolved into birds and continue to ominously roam the Earth hatching not only eggs but plans to take the planet over yet again. The cassowary was so involved in its dubious plans that it refused to make itself available for photos, so I had to borrow one from the internet to illustrate just how terrifying they are. Cuddle the koalas and cringe at the cassowaries. All in all Carrumbin Wildlife Sanctuary was a great experience. The efforts at truly making it a sanctuary rather than a zoo were evident with the freedom and care that is given to the animals. It’s a unique place with even more unique creatures that is a must-see on a trip to the Gold Coast. Great write-up. Keep um coming!